Are you a freelancer or independent contractor who receives a Form 1099 instead of a W-2 form at the end of the year? 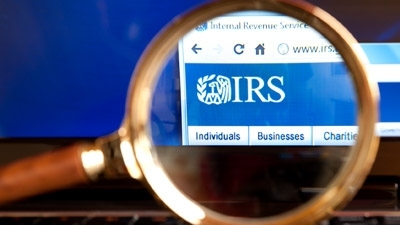 If so, then you should be aware of the five tax issues that are the most likely to cause IRS trouble for anyone subject to 1099 reporting of wages or income. Freelancers or independent contractors may work for just one employer on a short or long-term contract, or they may juggle tasks for multiple companies. Many work from home offices, while others report to the company’s office for work just like full or part-time employees. You can’t tell who’s a freelancer or independent contractor by the job they perform, the level of responsibility they have for a particular project, or where they work. But there are distinctive legal differences between employees—whose wages are reported to the IRS and state tax authorities on form W-2—and independent contractors whose income is reported on form 1099. The most obvious difference is that employees get a paycheck from which deductions have been made to cover income taxes, social security, Medicare and other required payments. The employer pays a portion of the required payments on behalf of the employee, and withholds the rest from the employee’s paycheck. Taxes for independent contractors, on the other hand, are not withheld from their earnings. An independent contractor is responsible for the full amount of the required payments, plus self-employment taxes. This is true for local, state, and federal taxes that you must pay. The major mistake that independent contractors and freelancers make is forgetting to set aside enough money to pay the self-employment taxes. If you’re an independent contractor who works exclusively or primarily for one employer for months at a time, it can be easy to forget that you are basically self-employed. Taxes for independent contractors seem higher than taxes for employees because the self-employed person is paying both the employer and employee portions of the taxes. In addition to any state and federal income taxes, freelancers and independent contractors must pay self-employment taxes to help finance Social Security for retirement and Medicare for health-related benefits. Some states also require payments for other things that are withheld from employee paychecks. For details about calculating what you owe to the IRS, start with the IRS Self Employed Individuals Tax Center website. It’s important to set aside money from every check you receive to cover your taxes. Because self-employed independent contractors are responsible for the employer and employee portion of federal taxes, you need to set aside more than an employer would have withheld from a paycheck. For example, independent contractors pay a social security tax rate of 12.4%, while employees pay only half that, while their employer pays the rest. IRS Notice 1036 outlines the tax rates, as a percentage of income, for 2013. A list of state tax rates for 2013 is available online. Think of your quarterly tax payments as a kind of “pay as you go” system that lets the IRS and your state’s treasury department collect taxes almost as quickly as the businesses and individuals earn the money. A freelancer, independent contractor, or self-employed individual who expects to owe $1,000 or more when you file your annual return. A corporation that expects to owe $500 or more. Estimated tax payments must be made at least four times a year (quarterly) to the IRS, and include both income tax and self-employment tax (Social Security and Medicare) payments. The rules for estimated tax payments for sales taxes, business and franchise taxes (note that you don’t have to own a franchised business in order to owe a state franchise tax—it’s what some states call the business tax charged to all businesses), and local and state income taxes in your home state may be different. There is a penalty for underpaying the estimated tax. But the IRS has a safe harbor rule: if you pay at least as much as your previous year’s liability or pay within 90 percent of your actual tax liability, there is no penalty for underpayment. The remaining quarterly tax deadlines for 2013 are June 17 and September 16. Missing a filing deadline is a short trip to IRS problems. The only exception is if you expect to owe less than $1,000 in taxes for the year. Independent contractors can deduct relevant business expenses that aren’t available to regular employees. There are limits and rules, but the deductions can help you hold on to more of what you earn if you keep the proper records. The IRS loves to flag tax returns from freelancers and independent contractors for audit, so be sure you can back up your deductions with evidence such as receipts, dates and business purpose. Many independent contractors are also sole proprietors, and this business type gets two tax breaks that other entities don’t. The first relates to hiring children. If you hire your child to perform work for you, you can deduct up to $5,000 from your earnings, a big tax-saver. Because of the standard deduction, your child won’t have to pay income taxes on it—another big savings. In addition, as a sole proprietor you can offer your employees—including family members—a health care reimbursement account. This savings adds up quickly, especially if you have private health insurance. You can’t take the HRA deduction yourself, but it can be an important tax-saving benefit if your family has relatively high health care costs. Are you really a freelancer—or are you actually running a small business? Depending on your circumstances, income, and state of residence, that answer can make a big difference in how much you pay in taxes each year. For instance, independent contractors can sub-contract work to other independent contractors, or even hire someone to work for them. But once your workload expands to the point that you need to hire help, it might be time to consider creating a business structure that offers some legal protections. The IRS overview of business structures can provide some guidance, but you should talk to a tax advisor or lawyer about whether or not it’s time for you to take the legal steps that would change your tax filing status. Gary Milkwick is Vice President at 1800Accountant.com, a tax preparation and consulting firm based in New York City that serves thousands of small business owners. Gary previously worked with Fortune 500 clients at PricewaterhouseCoopers, and with a regional accounting firm in Atlanta, Georgia that provides tax and consulting services to small business owners. Gary earned B.S. of Accounting and Master of Accountancy degrees from Brigham Young University and an MBA from UCLA’s Anderson School. He holds Series 7 and 66 securities licenses. He is a licensed CPA with the Personal Financial Specialist designation in New York and Georgia.